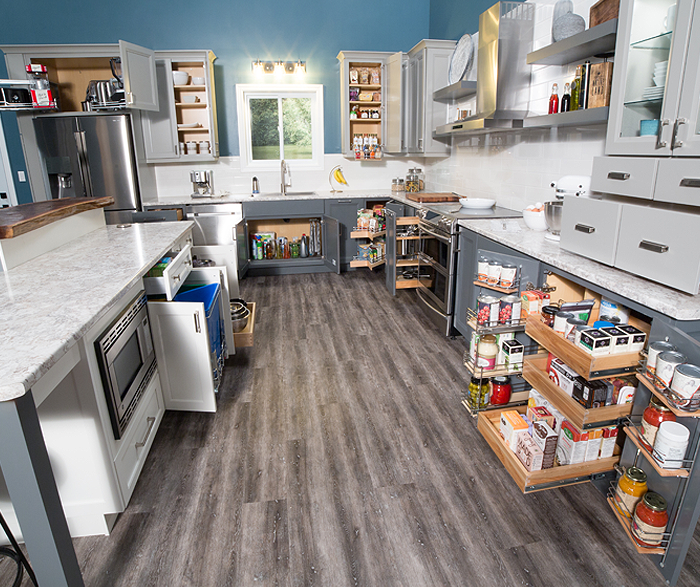 When it comes to improving a kitchen’s functionality, it all comes down to storage and organization. 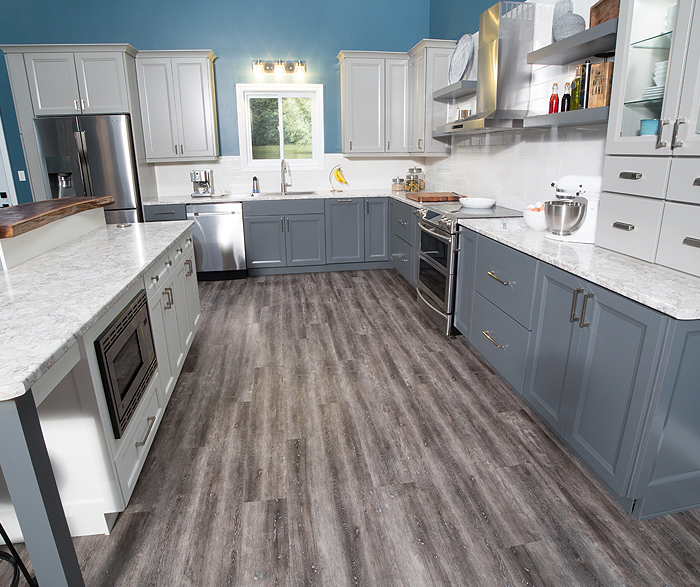 This fully-functional kitchen is designed with Russell Maple cabinets, in both the Sterling and Fossil finishes, and then further complimented with an island in Hollings Maple with a creamy Gypsum finish. Every bit of space has been upgraded with some of our most unique and innovative storage solutions.